When Tadao Baba was given the task of designing a Honda to outperform the Yamaha FZR1000 EXUP and Suzuki GSX-R1100, he used his ‘light is right’ motto to craft the FireBlade, an incredibly nimble and compact machine with supersport handling and a 900cc engine. The original Honda CBR900RR FireBlade was an instant success and changed the way superbikes were designed forever. This first version with its distinctive twin headlamps is becoming increasingly rare and desirable. A 16-inch front wheel and flighty steering response gave the bike a reputation for being dangerously quick-steering, but it doesn’t feel so in comparison to modern sportsbikes. 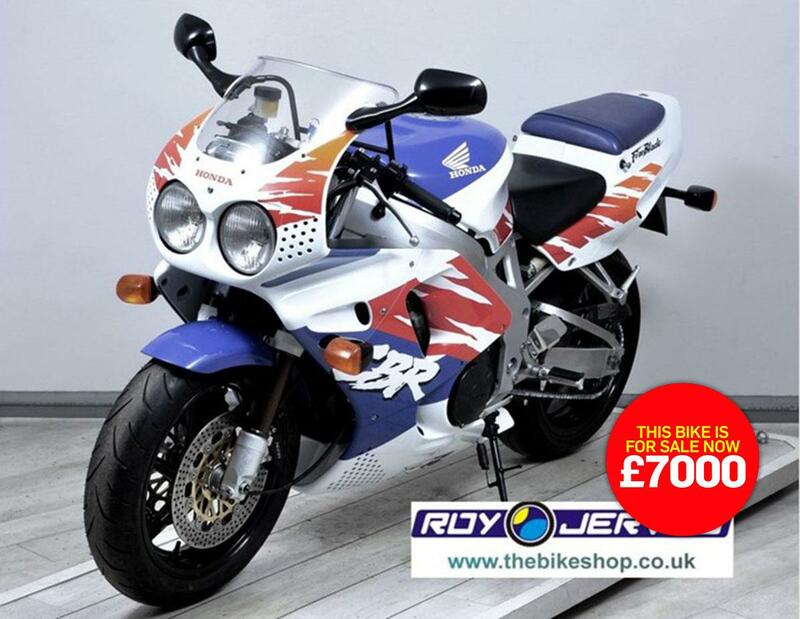 The above FireBlade is available from Roy Jervis & Co, who say: "This lovely, original example of this highly collectable FireBlade first edition - the bike that launched a succession of class leading sportsbikes. "The CBR900RR was always right at the forefront of its class on and off the track. This awesome motorcycle is declared manufactured in 2002 and was first registered in the UK in 1998. It is supplied with an up to date service and 12 month’s MOT." Find a used Honda FireBlade for sale.